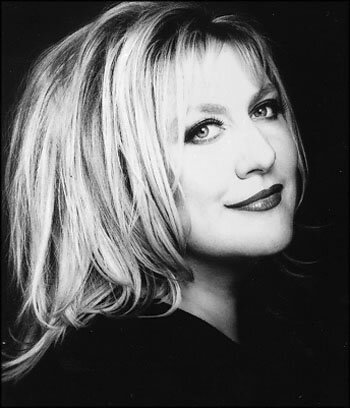 Renee Geyer is a Melbourne-born singer known as Australia's "first lady of soul". Renee Rebecca Geyer was born in Melbourne on 11 September 1953 regarded as one of the finest exponents of jazz, soul and R&B with hits It's a Man's Man's World, Heading in the Right Direction, Stares and Whispers, Say I Love You. Geyer has also been an internationally respected and sought-after backing vocalist, including work with Sting, Chaka Khan, Toni Childs and Joe Cocker. Sometimes words aren't enough. All the things that have and will be said about Renee Geyer...one of the world's finest singers...Australian music legend...are true and undeniable, but saying that about her still doesn't say enough. Renee Geyer is Renee Geyer, a unique talent, not a singer whose career is dependant on yesterday or tomorrow's hit song, but someone who lives for her next performance, on stage or on record, someone who refuses to rest on her laurels. The voice was always there. From the first time she opened her mouth those who heard turned their heads, but that wasn't enough for Renee Geyer, still isn't enough for Renee Geyer. She's much more now than she ever was. 'Dedicated' is Renee Geyer's twenty-second album. And she's convinced with this record she's reached a turning point. 'I do rhythm and blues,' Renee explains. 'This genre of music picked me. I didn't pick it. From a very early age I was listening to it on my transistor radio under my pillow. At fourteen or fifteen years of age I knew that this was the music I connected with. With this record I've turned some kind of corner where the suit that was bought for me as a young girl, that I knew was a beautiful suit, only just now fits. It just feels right. 'I always try to co-write with different people for every record. My ego as a singer is bigger than my ego as a writer, so it's always the best songs that make it. When I was offered this new recording deal with EMI I thought what would be great this time would be to do a mixture of existing classics and new songs as well. 'The hard part was finding more classic r&b songs to sing. I'd already picked the main ones that I wanted for 'Tenderland' [Renee's incredibly successful twentieth album, released four years ago] so I really had to search and search carefully for songs that when you hear them they're known but not obvious soul songs. ''Tenderland' was the first time I finally agreed to do interpretations of existing soul classics. I've always dabbled and had the odd one or two on albums, but I'd never before wanted to make a record totally like that. After being asked to for so many years I finally did it when I turned 50. I thought, if ever there was a time to do it, now was the time. 'With this record 'Dedicated', like with 'Tenderland,' I wanted to pay homage to the writers of the songs more so than the existing versions of the songs. 'There's no way that anyone is ever going to recreate an existing gem, but great songs are meant to be re-interpreted time and time again, and to me only a great song can be re-interpreted. 'Even though I've become the name that draws the people I've always been the singer in a band. Since I was very young I've always wanted to play with the best musicians. I've always been in that band because they're a great band. Nothing's changed on that level. 'Whereas the last two records had a lot of strings [after 'Tenderland' Renee released the all-new adventurous 'Tonight'] there's no strings on this record, it's basically the four-piece band, organ-based, so it's like the classic Al Green line-up of the early 70's, with horns as the embellishment this time. Also, thanks to my co-producer/engineer Adam Rhodes, I've discovered a microphone that actually reproduces my voice in the truest way, picking up all the timbers of my tone, as it would sound to someone listening right next to me. Today, listening to Renee Geyer we're experiencing much more than a great voice and song interpreter at the microphone, in front of her band. Over the course of her incredible career Renee has also discovered and refined other talents. She's become an arranger, imagining what goes where and how for the best result. And she co-produces her albums now. 'I'm completely hands on with my records,' she confesses. Renee is one of the very few Australian artists that has had records in the Australian charts every decade since the 1970's.